Content for key pages of the website was developed by our team and the website is promoted online via a Local SEO focused campaign. From my initial contact request through to the finished install, this company provided outstanding service. The staff of Limelight Online are accommodating, helpful and pleasant to deal with. 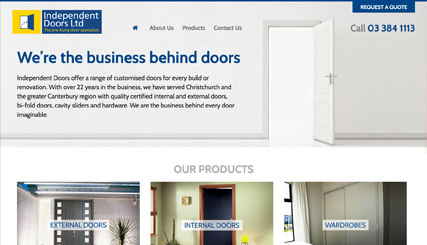 Our website is fresh, user friendly and delivering good results even at this early stage. I highly recommend Limelight Online to anyone seeking a website solution.